Aamir Khan’s Dangal is turning out to be a game-changer for the Indian cinema at the worldwide box office. The biographical sports drama continues to add more moolahs in China. It raked in $ 2.4 million (15 crores) yesterday and now stands with the whopping total of 825 crores at the Chinese box office. The film has also grossed 31 crores in Taiwan. Dangal currently stands with total collections of 1600.34 crores. Dangal has become the 2nd Indian film to cross the 1600 crore mark worldwide after Baahubali 2. Though, Superstar Aamir Khan says it’s unfair to compare his film Dangal with S.S. Rajamouli’s Baahubali 2: The Conclusion, as both of them, have their own space. Dangal is directed by Nitesh Tiwari and it is produced under the banners of UTV Motion Pictures and Aamir Khan Productions. The film also features Fatima Sana Shaikh, Sanya Malhotra, Zaira Wasim, Suhani Bhatnagar, Aparshakti Khurrana and Sakshi Tanwar in key roles. In the past, Aamir’s 3 Idiots and PK did well in China. In fact, PK was the first Bollywood film to mint over Rs 100 crore in China and it had done so in 16 days back in 2015. 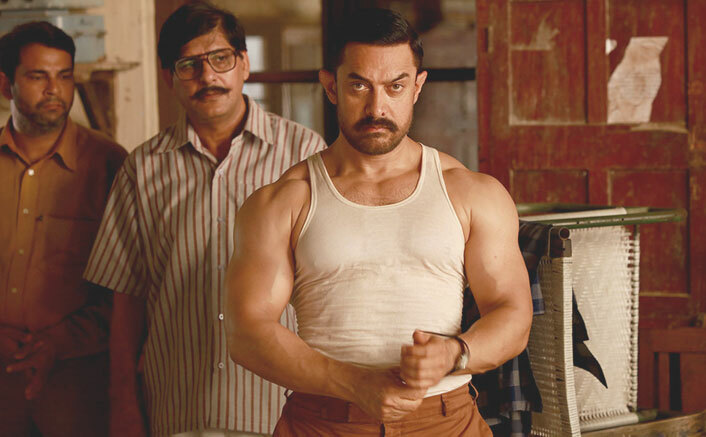 A biopic of former Indian wrestler Mahavir Phogat, “Dangal” had also resonated well with the Indian audience, generating over Rs 387 crore ticket sales upon its release at the domestic box office. The post Dangal Crosses 1600 Crore Mark At The Worldwide Box Office appeared first on Koimoi. Toilet: Ek Prem Katha Worldwide Box Office: This Akshay Kumar Starrer Crosses The 300 Crore Mark Like A Boss!